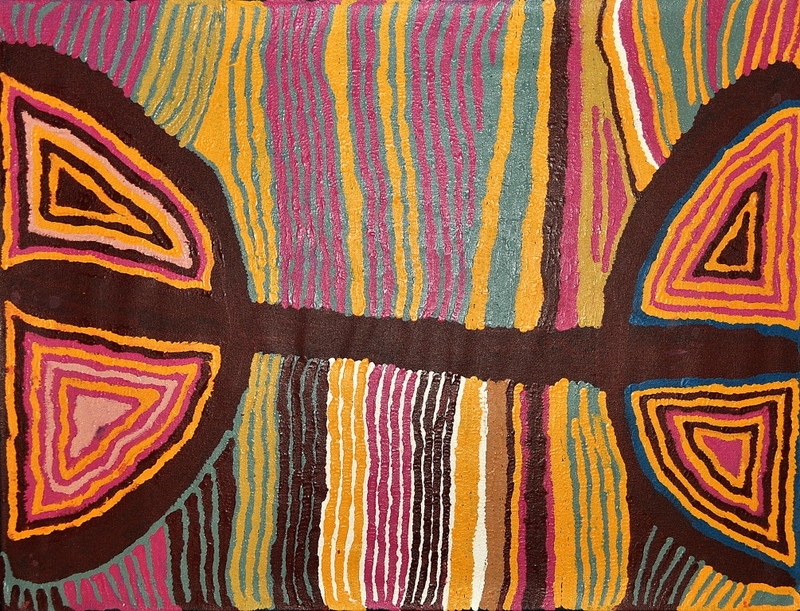 This stunning contemporary artwork is a depiction of the famous Dog Fence which runs from Queensland, across Australia to Western Australia. The fence varies in construction. Mostly it is made of 180 cm (5.9 ft) high wire mesh but some sections in South Australia comprise multi-strand electric fence. The fence line on both sides is cleared to a 5 m (5.5 yd) width. 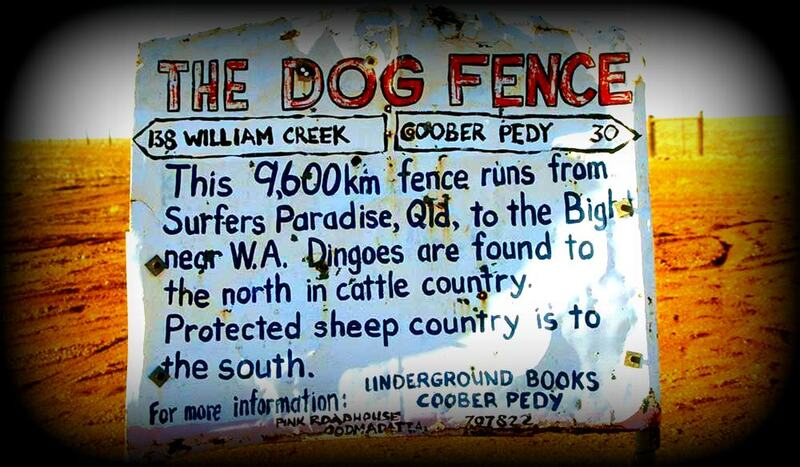 Sheep and cattle stations in Australia protected by the fence are astoundingly large. While varying in size, some stations can be larger than some small European countries. One station alone in South Australia lost over 11,000 sheep in a year due to dingo attacks before the completion of the fence. As recently as 1991, one station lost 3000 sheep in a year. Sheep farmers fought back by using poisoning, shooting, and eventually constructing the longest fence in the world. 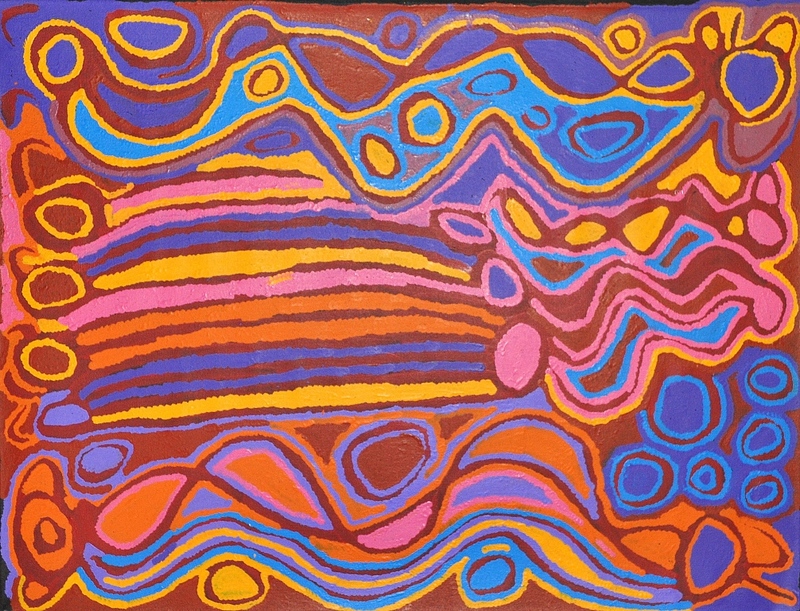 Aerial poison bait drops are still used today. 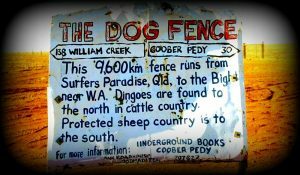 Parts of the Dingo Fence are lit at night by 86 mm (3.4 in) cold cathode fluorescent lamps which are alternately red and white. They are powered by long life batteries which are charged by photovoltaic cells during the day. At minor and farm crossings, a series of gates allow vehicles to pass through the fence. Where the fence intersects major roads and highways, Cattle grids are used to allow high-speed vehicles through.